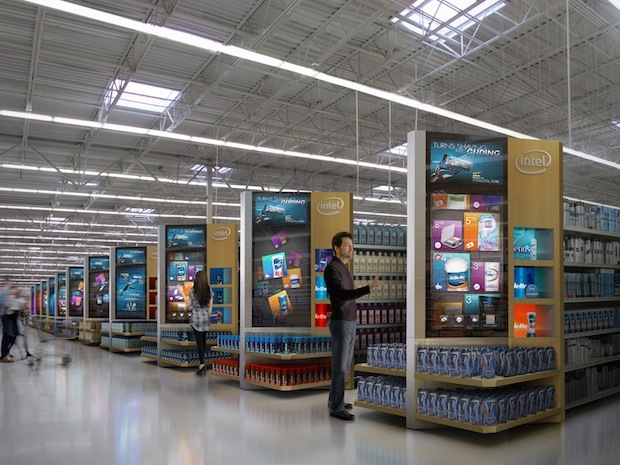 Over the next 5 to 10 years retail stores & its complete retail experience will undergo change. The new breed of shopper is more connected to devices and data. “We will see more disruption in the next 10 years of retail than we did in the previous 1,000.”— Doug Stephens, founder of Retail Prophet. Millennials bring with them a greater level of tech-savviness, and different expectations than the generations before them. This new breed of shopper is more connected to devices and data, more comfortable moving seamlessly across multiple media channels, and generally more informed than ever before. Not to mention the Post-Millennials, who will just be coming of age in 2025 and bringing with them an even greater degree of tech and media sophistication. Over the next 5 to 10 years retail stores and the complete retail experience will undergo a dramatic overhaul. Interested to know about markdowns- a strategic planning tool, then click here. Gone are the days of the big-box retail concepts with endless aisles stacked to the ceiling with merchandise. As retailers focus on creating shopper- and experience-centric stores, they will need to downsize the physical footprint of their stores and create environments that blend more seamlessly into the communities they serve. For example, Carrefour the leading hypermarket now has a significant number of Carrefour market in the Middle Eastern region, a concept which is smaller, stripped-down version of the big box retailer, aimed at serving the needs of urban dwellers and communities. It is a great way to increase your sales per sqm by consolidating the fast-moving merchandise in a smaller format. To cater to impulse needs, more and more non-traditional formats, such as pop-up stores or mobile retail trucks will also exist to make it easier for consumers to shop whenever and wherever they wish. Today’s consumers are empowered with information and have choice like never before (and that’s only going to rise over the next five to ten years), and they are increasingly comfortable navigating across channels when they shop, retailers need to create a seamless shopping experiences across all channels – in-store, online, mobile, and other media channels – to give their customers what they want. According to a 2015 study, Omnichannel consumers have a 30% higher lifetime value than consumers who engage with only one channel. Seamless & integrated payment systems would also play an important role. Recently, in Cochin (India) saw an opening of a seamless store “watasale” which is in line with Amazon Go i.e. enter, shop, walk-out. There is no cashier and everything is seamlessly integrated using AI, cameras, complex algorithms, the payment is gets deducted automatically from your e-wallet. Happy to see that “make in India” campaign is bringing innovation into the Indian retail scenario as well. Technologies and the data analytics they provide to retailers would enable retailers to better manage sales productivity on the merchandise floor, and optimize in-store product assortments. With the advent of AI algorithms, intuitive analytics will also help retailers better meet the needs of shoppers. By mining data collected both online and in-store to understand shopping patterns and predict future needs, retailers can improve pricing strategies, inventory control, customer service, and ultimately, their bottom line. According to Google, 75% of shoppers are more likely to visit brick-and-mortar stores if they find helpful local retail information in online search results. Although Millennials are forcing brands to engage with them differently — over social and digital channels versus in more traditional ways — connected shoppers are still making their way into, and making purchases in stores. This trend gives a lease of fresh air to retailers as they can hope to see “connected customer” coming to their stores for purchasing. Key takeout for retailers is to have the seamless experiential store for their demanding customers. I would like to end my article by saying to my retail fraternity that this is a time for optimism. The nature of retail is changing, sure, but the brands that are responsive to how people actually want to shop will soon win the next generation of consumers. In case if any of my readers, want to develop a cutting-edge retail strategy for their brand then I would be more than glad to share my ideas acquired while practicing & closely following retail trends. You can reach me on riteshmohan@yahoo.com. References: KPMG report on retail trends, Vendhq, think Google research on online shopping trends. Ritesh Mohan is a passionate retail professional with over 20 years in the retail sector, handling some of the biggest brands in beauty, fashion and fragrances retail & FMCG sector. He has been instrumental in the growth of some of the regional brands as well in the Middle East region. He specializes in Retail management, Product development, Brand management, Retail Operations, Sales Management, Business Management & Empowering business owners with his wisdom & experience of around two decades in the industry.